Download and read a free PDF of this full issue of the BSJ! 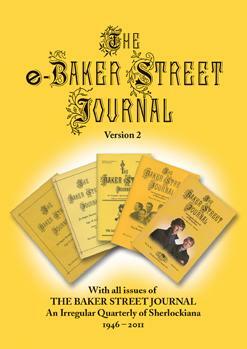 The Winter 2011 Baker Street Journal (PDF). If you like what you see – don’t wait! Subscribe to the BSJ today. This file is also part of the eBSJ PDF Archive 1946-2011. How Did 221 Come to B? When the world seems too much with us, Sherlockians are fortunate to have Baker Street as a retreat. Financial markets may gyrate, war drums sound, domestic politics stagnate in heated deadlock, but we have the ability to escape it all simply by cracking open a book. Sometimes Watson tells us the weather, cozily insinuating us into Holmes’s world. Other times he offers a bit of Baker Street conversation. Take, for example, the opening of The Valley of Fear where we immediately discover ourselves in media res as Holmes and Watson bicker familiarly: “‘I am inclined to think—’ said I. 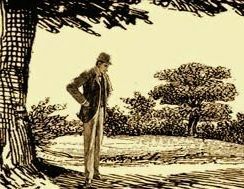 ‘I should do so,’ Sherlock Holmes remarked, impatiently.” Not, perhaps, the most classic opening in the Canon, still it grabs the reader. Of Tincture of Conan Doyle. The Editor’s Gas-Lamp, Winter 2011, Vol. 61, No. 4.